Firefighters in Springfield squelched a truck blaze on Switzer Avenue this afternoon. The fire disintegrated the truck engine, the trailer and two vehicles that strapped on the trailer, according to a fire official. Dennis Leger, assistant of Fire Commissioner Bernard J. Calvi reported that the incident happened prior to 3 p.m. on 170 Switzer Street. Firefighters came on scene to find the trailer already on fire. Arson and Bomb Squads are figuring out the cause of the fire. 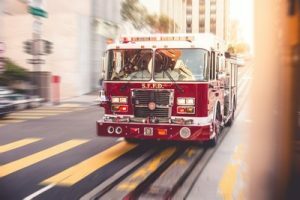 Are you entitled to file litigation when there is a car fire? If you or a loved one have been injured by a vehicle fire and it was not caused by you, then you have a personal injury claim. Typically, a car fire happens because of defectively manufactured vehicles, or defects in the vehicle design. If this is the case with your injury, then you are entitled to file a products liability lawsuit, for the car fire injuries, against the manufacturer of the car. Car manufacturers typically want to build their products with gas tanks that are not dangerous. This is done by designing and building them to absorb collision forces and stay in one piece during an accident. However, a few gas tanks will break and ignite a fire despite these safety procedures in place. Usually when the safety designs are not implemented or not implemented properly, car accident fires are likely. If this scenario happens, a Massachusetts vehicle fire attorney can obtain a fair outcome and compensation for you. Usually a vehicle fire accident happened because of negligent acts by the car manufacturer. Please call the Law Offices of Jeffrey S. Glassman today at (617) 367-2900 to tell us your story.